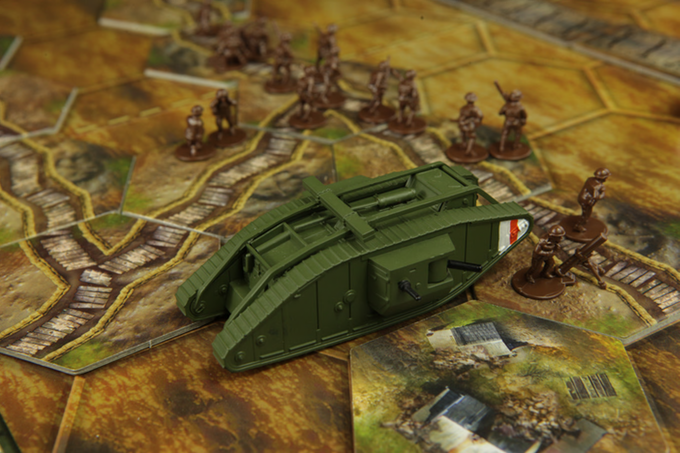 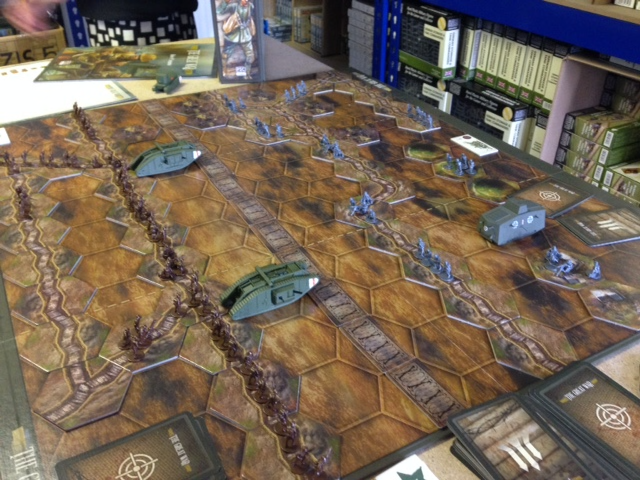 Home » Crowdfunding » The Great War – the tanks are coming! 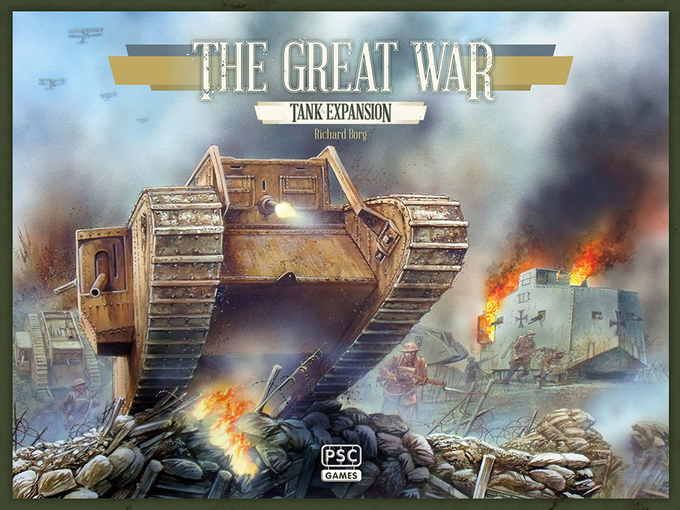 The Great War – the tanks are coming! 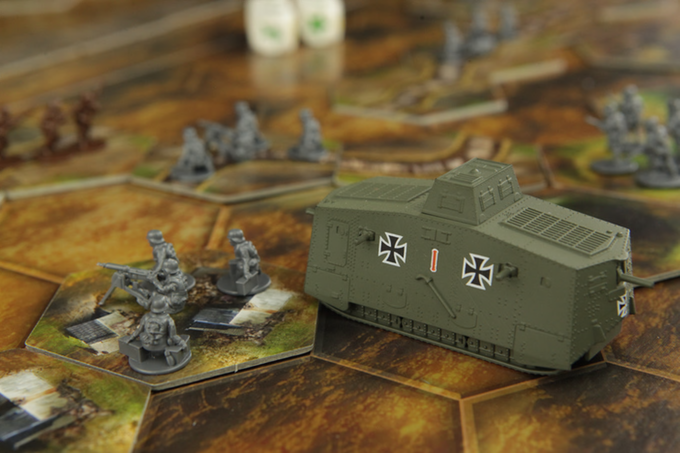 Following the successful launch of The Great War boardgame earlier this year, PSC Games are now launching the first expansion for the game, again via Kickstarter. 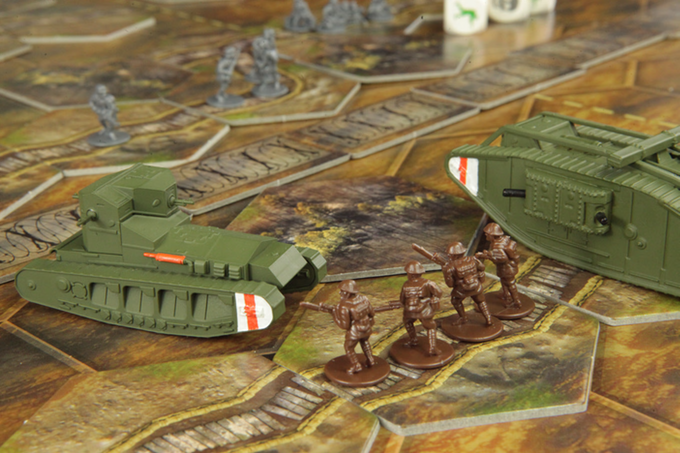 The tanks will come pre-assembled with a basic paint job.